The city of Milan is situated in the heart of Lombardy, the wealthiest region in Italy. Milan is best known as the fashion capital of the world. It is an influential city of style and sophistication. The stock market is here and the city buzzes with activity. Everyone is hurrying somewhere. It is the second largest city in Italy with a population of approximately 1.3 million inhabitants. It has however, one of the lowest per capita green areas and parks. Milan is an expensive city when it comes to property. Rents are based on how fashionable the neighbourhood is and the size and type of housing. The Centro Storico which means the historical centre, Milan's oldest and most elegant area, is comparatively small. The buildings are mostly turn of the century with ornamental facades and some have beautiful courtyards with the odd garden and fountain in the courtyard. A small number of modern buildings can also be found in this area due to the reconstruction of buildings that were destroyed during the war when Milan was heavily bombarded. Rents will tend to be the highest in such charming surroundings. These are the most exclusive areas of town to live in. The beautiful turn of the century buildings are owned by the noble and wealthy Milanese families and are the most sought after. The shops are stylish and beautiful and their owners very well turned out! This is a very trendy area of Milan and popular to live in, by young managers. It used to be the artists' quarter until they could no longer afford to live there. It is full of small streets with cute shops and now it is well known for its fashionable bars, restaurants and night life. In the evening wandering along Vicolo Fiori you can have your palm read by a number of interesting looking “experts” or be offered some Prada handbags of doubtful origin. This area takes its name from the International Fair Grounds. Nowadays most of the fair events takes place in the Rho/Pero area, very close to the Universal Exposition 2015 was set up. This is a very pleasant residential area located on the west side of the centre with various types of housing dating back to the beginning of the 20th century, along with more modern 1950's buildings. It is well connected to the centre of Milan with the subway, trams and buses. The lively Via Marghera and Corso Vercelli are in the vicinity with their numerous shops, pizzerias, restaurants and ice cream parlours. This area is popular with families and is a good location for the French, International and Japanese schools. This bustling area has many commercial streets with shops selling from cheap to medium priced goods. There are some attractive quiet streets with some lovely old houses. This area is very well connected with all of the city, having both the red and green line and many buses (good services to the airports). 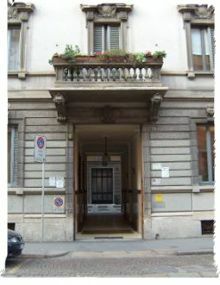 This attractive residential area located on the East side of Milan is called so because of the universities that are located there. There are some eye catching old buildings that are sought after by Milanese families. The area is also very popular with students that rent the numerous apartments available in the vicinity of the universities. This is a good location for the Sir James Henderson school. 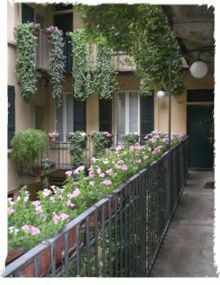 This area is now considered one of the liveliest quarters in Milan. It was the city’s port district until the 19th century. These canals are very characteristic and are very popular especially with young people in the summer when they become traffic free zones to enable the restaurants, bars and ice-cream parlours to put their tables outside. Many of the buildings in this area are called “ringhiera”, named after the long balconies running along each floor, to which you can access the apartments. This area, which is named after the San Siro Stadium, is on the west side of Milan, approximately 30 minutes from the city centre. 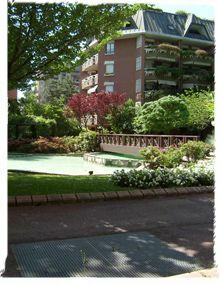 The apartments are mostly in modern condominiums with gardens which sometimes have swimming pools and tennis courts. San Siro is very popular with expatriate families due to the vicinity to the French and International school.